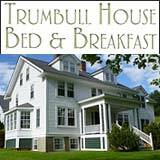 Read about great New Hampshire dining experiences – follow the links below. Help us discover the best New Hampshire restaurants and eateries by sharing your NH dining updates. Ask us about NH Restaurants or share dining reviews. 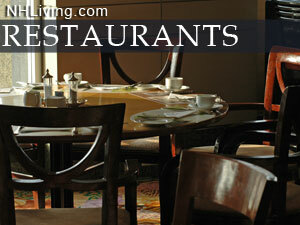 To feature your NH restaurant, contact us. World famous for pancakes make from scratch and real maple syrup – Polly’s Pancake House is a favorite of locals and visitors to beautiful Sugar Hill New Hamsphire. Find out why. This NH Chef Owned restaurant is in Plymouth features fresh local fare and traditional favorites. Loon, Lincoln and visitors to the Woodstock region will be amazed at the menu variety and made in NH beers and ales. A consistently top-rated NH restaurant. Bookmark this page and check back for fresh NH restaurant reviews. Thanks for mentioning “I found you online in NH Living – when you visit our suggested restaurants, pubs and bistros. If you know of a great NH restaurant we’ve missed, contact us. Thanks for supporting local restaurants, diners, drive-in’s and chefs. Bring your children, parents, and friends to The Old Salt Restaurant, where you will find great local flavor in a comfortable atmosphere. Come for lunch, dinner, or Sunday brunch, and enjoy great food and great company! Woodstock Station Restaurant, voted a White Mountains favorite by NH Magazine, Hidden Gem award and "Worth a Journey" says Phantom Gourmet. Experience Woodstock Inn Brewery with tours at noon, more often in season. Lounge features some of NH's best live entertainment. Awarded "New England's Best Brewpub" by NECN. Savor a craft beer by the fireplace or in our beautiful patio garden in the summer. Our famous country breakfast is included with your stay. Close to all White Mountain Attractions and Ski Areas. Wander off the beaten path and discover this romantic White Mountain bed and breakfast. The Inn has 13 unique rooms, all with private bath, and full country breakfast included. On site amenities include: restaurant, tavern, spa services, wooded trails, mountain views, romantic packages, and seasonal heated pool. Minutes from shopping, downhill skiing, ice skating and other local attractions. The Darby Field offers the perfect setting for small weddings and reunions, too. Through the Jackson covered bridge is a place that just might be perfect... a place where candle light dances and the love and laughter of a hundred years of happy travelers is as rich as the wide pine floors. We invite you to take a step back in time. Come prepared to laugh, love, and smile so hard you might just cry. After all, as brilliant stars twinkle in the clear night sky... you just might find that the Wildcat is almost perfect. Polly's Pancake Parlor has been serving yummy home cooked meals for over 75 years. Enjoy a stack of Oatmeal Buttermilk, Buckwheat or Whole Wheat pancakes. Sit back and savor a waffle of your choice smothered in real New Hampshire maple syrup or come for lunch and have a slice of quiche made with local Harman's cheese. Shop for gifts, pancake mixes and NH Maple Syrup. Reservations taken on weekends. A local favorite featuring classic Italian comfort food plus the best pizza, wings and homemade desserts. Real food by real people in a relaxed, friendly atmosphere. Patio dining, outside bar & entertainment. Dinner nightly at 5pm. Closed Monday & Tuesday. Chang Thai Cafe blends the best of traditional Thai cuisine with a dash of contemporary flair. In the Thai language, Chang means elephant — a very meaningful symbol in Thailand for long-lasting friendship, good fortune and happiness. At Chang Thai, we strive to represent the virtues of the elephant — friendliness and good fortune — in our restaurant and in each dish you are served. George’s Seafood and Bar-B-Que restaurant is a great year round family eatery nestled in the foothills of the White Mountains in Plymouth NH. Serving fresh seafood, steaks, burger and sandwiches. Clambakes, Fried Seafood, Chowders, Surf N' Turf, BBQ Ribs. Daily specials. Combo Baskets, Kid's menu available. Open 7 days a week for lunch and dinner. Tiny brewery, big beers! Enjoy Craft IPA's, Great Food, Entertainment, Special Events. Check the website for specials. Thursday night Trivia. The never ending quest to quench the ‘thirst’, whether it’s on a bike, skis, or in a glass. This it where the passion comes from, it’s what rek'•lis is, this is us, and now it’s you... . The Norwich Inn is a historic Vermont inn located just across the river from Hanover, New Hampshire. The Norwich Inn offers an extensive, diverse and moderately priced menu incorporating traditional pub favorites with elegant dinner options. We have nightly dinner and wine specials that can be enjoyed in our pub or dining room 7 nights a week. An Inn has been on the site since 1797; the current Victorian Structure since 1890. We offer 38 guestrooms, Pub, Dining Room, and Microbrewery. The Chesterfield Inn is a warm, welcoming Bed and Breakfast Inn in the Monadnock Region of New Hampshire. 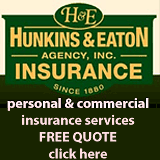 We specialize in personal service and comfort. Enjoy our delicious country breakfast, cooked to order, with homemade muffins made from scratch each morning. Our romantic candlelit dining room is the perfect place for dinner with a menu of fresh, local food that changes with the seasons. Most guest rooms have fireplaces, pretty views and six rooms are pet friendly. The inn is the perfect place for an intimate wedding. Welcome to Ramunto’s - a taste of the North End right here in Keene. At Ramunto's we’re passionate about providing an unforgettable dining experience. Ramunto’s combines great service, a warm family-friendly atmosphere, and high quality food made fresh daily. Authentic New York Pizza, fresh salads cut to order, pastas from scratch, and signature subs, Ramunto’s offers something for everyone including catering services. Open Daily for lunch, dinner & Take-Out. The Flying Goose Brew Pub is a family run restaurant with 17 of our Handcrafted Brews on tap with panoramic views of Mt. Kearsarge in the quaint town of New London. Whether it be for a quick bite, a cold brew, or a place for family and friends to gather, we extend our "home" to you. Voted Best of NH Regional Favorite Restaurant for 3 years, we offer a relaxing environment to all who walk through our doors.